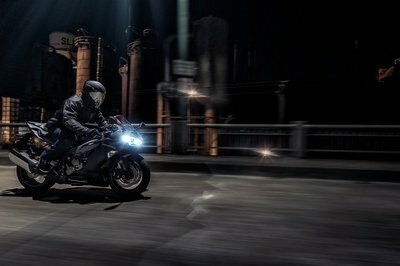 A while back, Husqvarna teased us with a couple of concept bikes that moves the Swedish manufacturer onto decidedly-firmer ground; the blacktop. 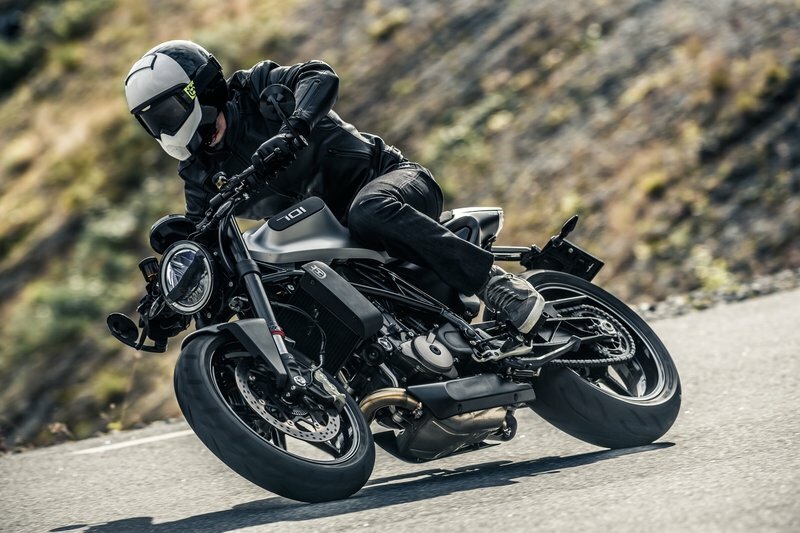 Well, at this year’s Milan show, Husky revealed the final, production-ready version of its Vitpilen 701 streetbike and brought its concept for a 701 Svartpilen. In the Pilen 701 pair, the Vit is a bit of a cafe’ and the Svart looks like a cool little flat tracker or scrambler-esque fun bike, a big brother to the existing 401. 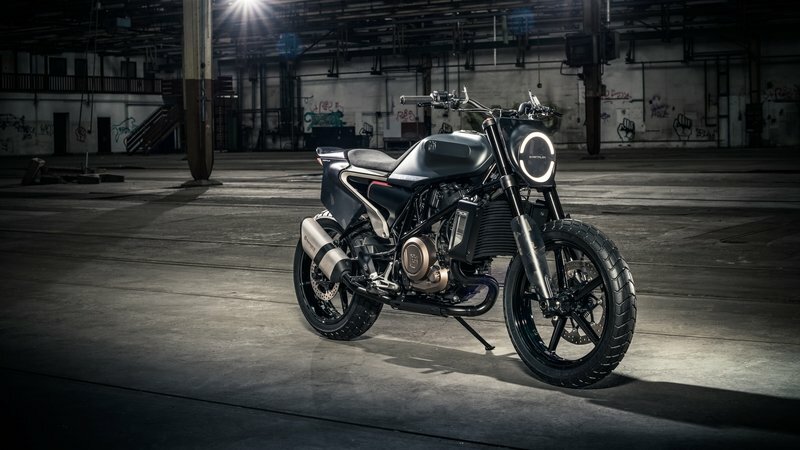 Continue reading for more on the Husqvarna Vitpilen 701 and Svartpilen 701 at Milan. Here's hoping the production version has a more comfortable seat. The “White Arrow” carries itself in a rather cafe’-tastic fashion with really short drag bars that pull the rider down and over the odd-looking fuel tank that sports an oval protuberance on each side that probably increases the fuel tank volume, and definitely gives the rider a place to hang a knee. Looking like it grew there is a shallow-scoop seat that carries a generous junk-pad up on the trailing end of the tank to protect your naughty bits somewhat when you shift forward during extreme braking actions. 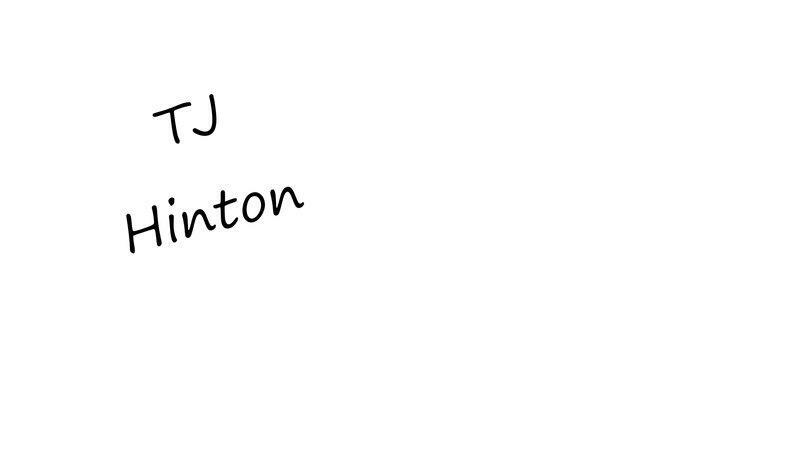 I hope you’ll forgive me if I leave it to you, dear readers, to test the efficacy of said pad. 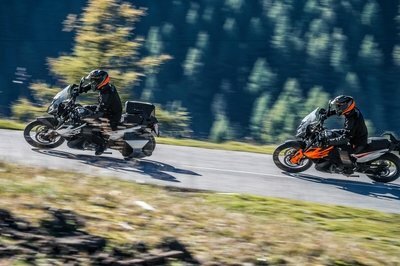 Since this ride, and its sibling the Svartpilen both use KTM parts, I expect that pad along with the rest of the seat to be rather unforgiving to put it kindly. Oh well, at least it looks cool. A scrambler-tastic big brother to the 401. 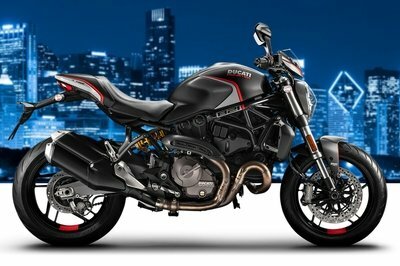 What about the Svartpilen 701, you ask? Well, the “Black Arrow” looks to be set up for the street as well, but with a dual-purpose bent that sees on/off-road tires and racing-style number plates on the flanks that look like they double as mud-fling guards. Looks like the factory is trying to capitalize on the fact that the world has rediscovered how freakin’ cool flat-track racing is. Or, maybe it’s trying to enter the scrambler fray? Who knows, but what is clear is that Husky can, in fact, build two-wheelers for something other than trails and the MX track. As the deviously clever name suggests, the Svartpilen carries an edgier, more sinister look than its sibling, though it seems to have only a few more blackout items and darker sheet metal. 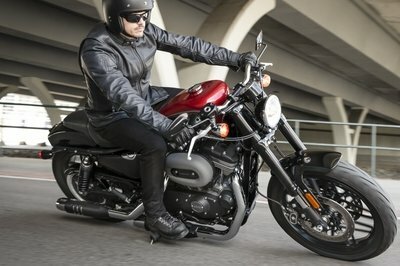 Both rides run a 693 cc, water-cooled thumper that sports plenty of gadgetry to include TC, ABS and an RbW throttle to control the fuel-injected plant. The factory manages to milk 73.8 horsepower and 53.1 pound-feet of torque from its 105 mm x 80 mm one-lunger with a sizzling-hot, 12.8-to-1 compression ratio. Yeah, forget about anything shy of premium fuel. I’ll be taking a more in-depth look at these two soon after the show is finished, along with their slightly diminutive siblings the 401 series bikes. Meanwhile, enjoy the show cause I imagine that the surprises aren’t quite over yet.